The TAURUS Free Flight Campaign performed by the German Air Force in South Africa is completed. Tornado aircraft of the 33rd Tactical Air Wing launched four TAURUS missiles against different ground targets on the Overberg test range in South Africa last month. In various modern combat scenarios, all missiles have exhibited the expected flight behavior, resulting in four direct hits on their respective targets. The TAURUS team is proud having contributed to this ambitious Luftwaffe campaign. Three of the fired missiles had undergone a planned midlife maintenance program on our site in Schrobenhausen, Germany before. 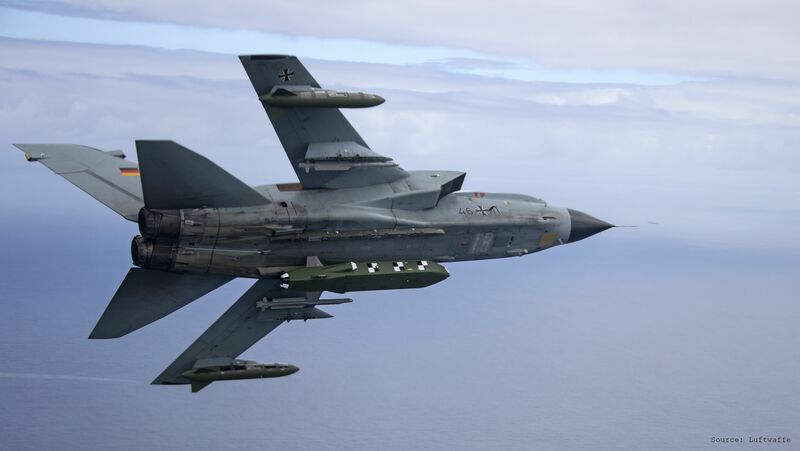 The TAURUS flights were part of the German Air Force exercise „Two Oceans 2017“, in which the Luftwaffe also used the aircraft cannon and precision guided bombs against ground targets. The launching platform was the ASSTA 3.0 Tornado. The 33rd Tactical Air Wing from Büchel with the TAURUS KEPD 350 is part of the NATO Response Force. The last German free flight campaign with TAURUS has been performed in 2014, in South Africa as well.